We can hardly believe January is already on its way out but we are making the most of this new year by offering you a new look! 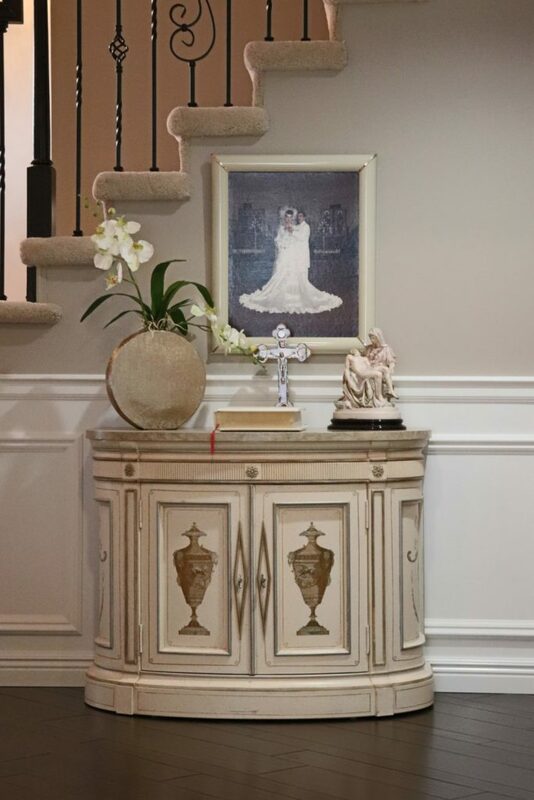 Sometimes the most challenging part about designing and decorating your home is figuring out all the little details that will make it uniquely yours. How do you decorate your home so that it feels warm and inviting without feeling overdone and cluttered? How much is too much? This week we’re all about highlighting beautiful home accents that will finish your design. 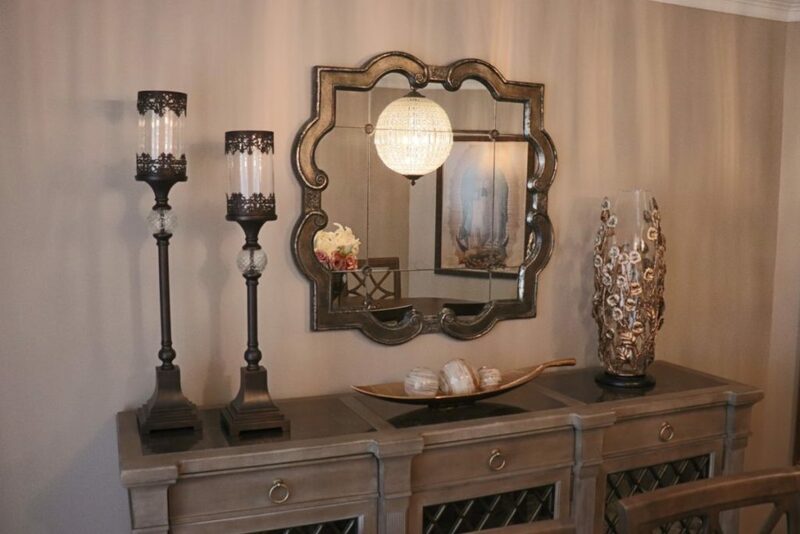 A home just wouldn’t be a home without showing off pieces that show off your personal taste. We think you’ll fall in love with these home accents! One of the easiest and most effective ways to anchor a room is by incorporating a gorgeous rug. For one, a beautiful, high-quality rug will create a defined space that will act as the center of your decor. Including a rug as one of your home accent priorities will instantly make your room feel cozier and more inviting. Nowadays open concept homes are the norm, making the need for spacial definition greater than ever. When you have a home that consists primarily of large open rooms, a well-placed area rug can work wonders in defining seating areas, dining areas, entryways, and more. When choosing a rug it’s important to first consider how the space will be used. You should also consider the type of furniture you’ll be using in your space as well as the color scheme and overall feel you’re looking for. We love to use neutral rugs with plush fabric, making a space feel cozy and warm. Geometric prints and patterns are also fun ways to show off your style and add an element of interest to your decor. Check out these fabulous rugs from some of the many vendors at Home Interior Warehouse! Once you’ve settled on your design, chosen your furniture, and finalized your layout it’s time to bring in decorative finds. 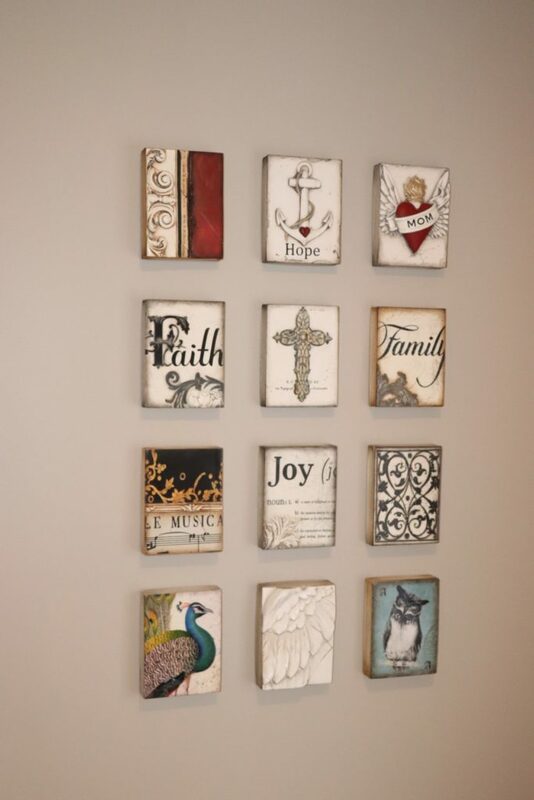 These are all those little home accents that make your design look polished and complete. Decorating your home can be so much fun if you have the right pieces but it can also be overwhelming. How do you get your bookshelves to look like the ones in magazines? How can you make your coffee table look like something from a design portfolio? Here are a couple tips and unique looks. We hope you’re inspired! Play with height: Avoid choosing pieces that are all 2-dimensional. 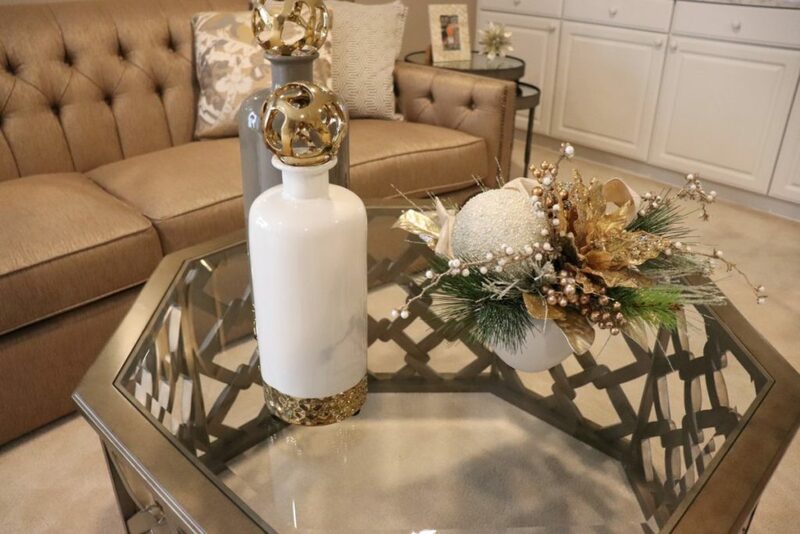 Add some interest with your decorative pieces by selecting items in varying widths and heights. Have fun playing with shapes and don’t be afraid to experiement! Play with color: We love to stick to a neutral theme when decorating but that doesn’t mean bland and blah. By incorporating pops of color from accent pieces into your look you’ll add a fresh and lively tone to your space that’s easy to change as trends come and go. Colorful accents will definitely add life to your space and are so fun to style when decorating your home. Play with textures & shapes: Just like adding interest by playing with color and height, you can add unique design elements to your space by playing with textures and shapes. Notice the beautiful curved frame on the mirror seen below. 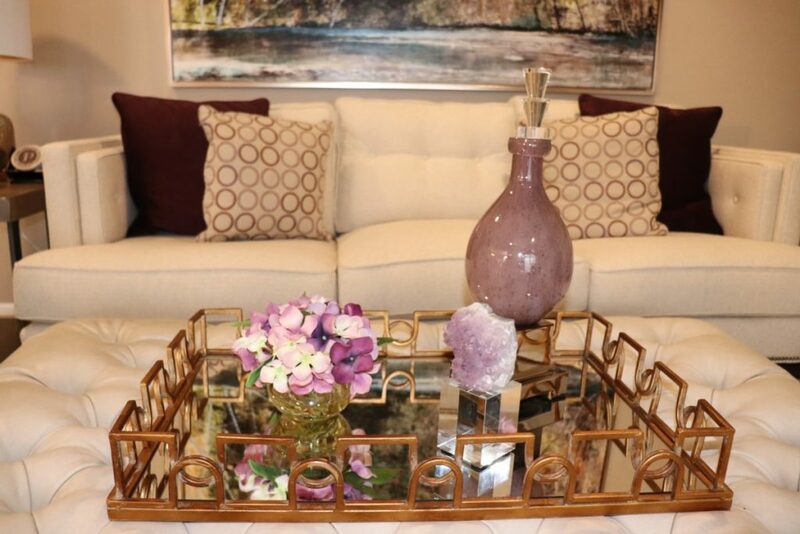 A gorgeous geometric coffee table is the perfect setting for decorative pieces. 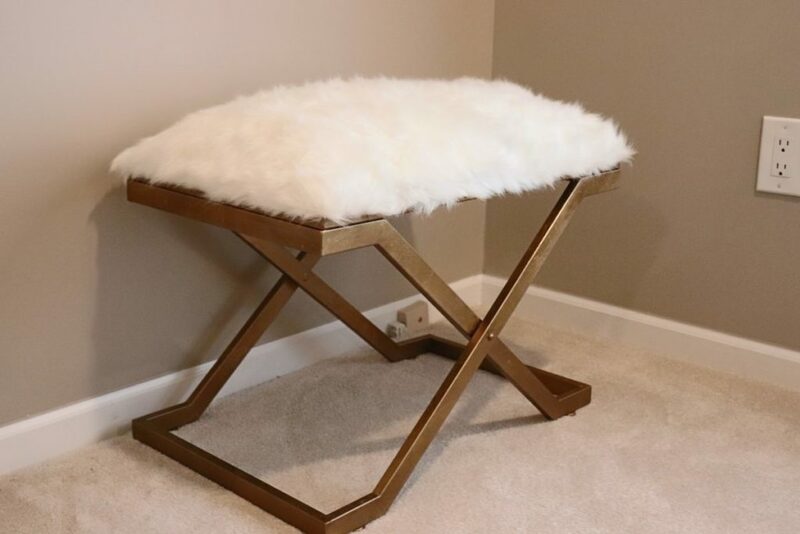 We love the fluffy fabric used on the ottoman! Your room will never be boring when you play around with the right accents. Our interior designers want you to have it all. Get in touch with our professional interior design team to see how we can make your decorating dreams and home accent needs a reality!